When you’re assigned with a Philosophy term paper, it can be a perfect moment to obtain a philosophical attitude: “This too shall pass.” However, while working on it, it’s better to concentrate and make maximum effort to do it right. Here are 17 quick tips that can help you a lot. 3) Brainstorm your topic. This simple method can save your plenty of time and bring surprising results. Set a timer and try to generate as many ideas as possible within a chosen time period. Make it a rule to write down every idea crossing your mind (even if it seems crazy). You’ll have time to sort out your ideas later. 4) Create an outline. After you choose all major arguments, work on the logical structure of your paper. As an option, draw a mind map for your would-be paper. 5) Create a thesis statement. 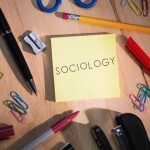 Just like any other academic paper, your Philosophy term paper will require a strong thesis statement, the last sentence in the introduction part, briefly summarizing the main idea of your paper. 6) Write a stunning introduction. Start with an attention hook – a quote, a rhetorical question, striking stats or an interesting fact. 7) Explain why you chose this topic. 8) Write an effective literature review. Divide your sources into groups according to the authors’ conclusions. Point out at the gap in literature. 9) Make transitions between sections. Make your Philosophy term papers flow. Just a couple of words connecting sections can improve the logical structure of your paper. 10) Use hamburger paragraph structure. Start every paragraph with a topic sentence – a brief summary of what you’re going to discuss in the paragraph. Complete every paragraph with a concluding sentence – a brief repetition of what you’ve just said. It’s a great way to make your writing more logical and convincing. 11) Spend 70% of word count on your own ideas. One of the best things about Philosophy writing is that you should include your own vision of the problem. Instead of jumping from one quote to another one, balance the quotes you use by adding your own ideas. 12) Align your ideas with your course readings. 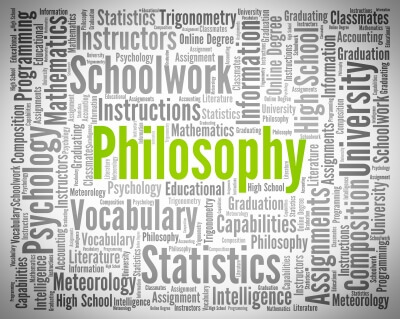 Include a couple of terms you discussed in class or heard in lectures into your Philosophy term papers to impress your teachers. 13) Discuss counterarguments. Show your deep understanding of the topic, shedding light on the conflicting points of view. 14) Point out at the limitations. Show your analytical thinking. Make it obvious that you understand that any research can have certain flaws, such as sampling or research method. 15) Use spell, grammar, style and plagiarism checkers. Software can help you improve the quality of writing and help you avoid trouble. 16) Cite all sources. Make sure that you give credit to the authors whose writing you used. 17) Write a logical conclusion. Briefly repeat what you have said in your paper and add a new perspective – ideas for further research. Avoid including any new information into conclusion of your Philosophy term paper.